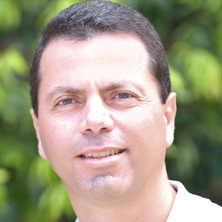 Professor Mark Schembri is a prominent microbiologist with experience in combating the global health crisis presented by multi-drug resistant pathogens. Professor Schembri’s expertise on the virulence of bacterial pathogens and his innovative analysis of biofilm formation aims to improve the outcomes of the >150 million individuals that suffer from urinary tract infections each year across the globe. Through the application of genetic, genomic and functional studies on uropathogenic E. coli, Professor Schembri has identified targets to reduce the virulence of this pathogen, and will pursue the development of life-saving therapeutic and preventative advances with the assistance of an NHMRC Senior Research Fellowship. Professor Schembri has tracked the rapid emergence and global spread of a virulent, drug-resistant E. coli clone and used genome sequencing to understand its evolution and virulence. Links: Professor Schembri collaborates with national and international research leaders, including in Denmark, where he was a lecturer. Professor Schembri has strong links with other international experts in his field, including at the Pasteur Institute and the Wellcome Trust Sanger Institute in Cambridge. His research collaborations also span lead groups at UQ and other top Australian institutes, including Griffith and La Trobe Universities. Membership, Funding and patents: Since 2011, Professor Schembri has been awarded over $6 million in funding from competitive national research funding councils. He holds provisional patents for the development of novel therapeutic agents and vaccine antigens. He is a Fellow of the American Academy of Microbiology, and is regularly invited to speak at international conferences in his field. Awards and Communication: Professor Schembri was the recipient of the Frank Fenner Award (2010) for his outstanding original research contribution to the study of Infectious Disease. He was an Australian Research Council Future Fellow (2011-2015) and currently holds a National Health and Medical Research Council Senior Research Fellowship. Professor Schembri is the author of >170 peer-reviewed research manuscripts. Professor Schembri’s outstanding original work in the field of infectious disease and multi-drug resistant pathogens has led to several key advances in the fight to reduce the prevalence and improve outcomes of urinary tract infections. Key research outputs: The genomic epidemiology of a multi-drug resistant E. coli clone allowed its origin and dissemination to be mapped on a global scale. Recent work in Professor Schembri’s group has defined the virulence of this pathogen using advanced genetic, transcriptomic and proteomic methods in conjunction with a mouse model of infection. He has also led the use of new treatments to prevent infection by this multi-drug resistant pathogen. Key capabilities: Professor Schembri has deep expertise in microbiology, with particular capability in the high-throughput modelling of drug-resistant biofilms, the study of Gram-negative bacteria, and the application of forefront technologies to examine virulence, genomic epidemiology, host-pathogen interactions and novel strategies for the treatment/prevention of infectious diseases. Stepwise evolution of pandrug-resistance in Klebsiella pneumoniae. Conserved features in TamA enable interaction with TamB to drive the activity of the translocation and assembly module. Blocking the 'MIDAS' touch of Enterococcus faecalis. Molecular Characterization of a Multidrug Resistance IncF Plasmid from the Globally Disseminated Escherichia coli ST131 Clone. Crystal Structure of the Dithiol Oxidase DsbA Enzyme from Proteus Mirabilis Bound Non-covalently to an Active Site Peptide Ligand. Do type 1 fimbriae promote inflammation in the human urinary tract? Schembri, Mark A, Givskov, Michael and Klemm, Per (2002) An attractive surface: gram-negative bacterial biofilms. Science's STKE : signal transduction knowledge environment, 2002 132: . Klemm, P. and Schembri, M.A. (2000) Fimbriae-assisted bacterial surface display of heterologous peptides. International Journal of Medical Microbiology, 290 3: 215-221. Klemm, Per and Schembri, Mark A. (2000) Bacterial adhesins: Function and structure. International Journal of Medical Microbiology, 290 1: 27-35. Sokurenko, E. V., Chesnokova, V., Dykhuizen, D. E., Ofek, I., Wu, X. R., Krogfelt, K. A., Struve, C., Schembri, M. A., Hasty, D. L. and Cowan, M. M. (1999) Pathogenic adaptation of Escherichia coli by natural variation of the fimH adhesin. Chemtracts, 12 13: 944-948. Schembri, Mark A. and Klemm, Per (1998) Heterobinary adhesins based on the Escherichia coli FimH fimbrial protein. Applied and Environmental Microbiology, 64 5: 1628-1633. Sweeney, Neal J., Klemm, Per, McCormick, Beth A., Moller-Nielsen, Eva, Utley, Maryjane, Schembri, Mark A., Laux, David C. and Cohen, Paul S. (1996) The Escherichia coli K-12 gntP gene allows E-coli F-18 to occupy a distinct nutritional niche in the streptomycin-treated mouse large intestine. Infection and Immunity, 64 9: 3497-3503. Lambert, J.R., Lin, S.K., Sievert, W., Nicholson, L., Schembri, M. and Guest, C. (1995) High prevalence of helicobacter-pylori antibodies in an institutionalized population: Evidence for person-to-person transmission. American Journal of Gastroenterology, 90 12: 2167-2171. Identification of a 13-kDa protein associated with the polyhydroxyalkanoic acid granules from Acinetobacter spp. Schembri, Mark A., Bayly, Ronald C. and Davies, John K. (1995) Phosphate concentration regulates transcription of the Acinetobacter polyhydroxyalkanoic acid biosynthetic genes. Journal of Bacteriology, 177 15: 4501-4507. Schembri, M. A. and Lambert, J. R. (1993) Comparison of commercial diagnostic tests for Helicobacter pylori antibodies. Journal of Clinical Microbiology, 31 10: 2621-2624. Tee, Wee, Lambert, John, Smallwood, Richard, Schembri, Mark, Ross, Bruce C. and Dwyer, Brian (1992) Ribotyping of Helicobacter pylori from clinical specimens. Journal of Clinical Microbiology, 30 6: 1562-1567. Wang, Jack, Hall, Roy and Schembri, Mark (2012). Constructively aligning assessment and feedback - a way forward for integrating SOTL theory and practice in large-scale undergraduate classrooms. In: 9th Annual International Society for the Scholarship of Teaching and Learning Conference (ISSOTL12), Hamilton, ON, Canada, (64-64). 24-27 October 2012. Wang, Jack T. H., Schembri, Mark A. and Fuerst, John A. (2012). How do we embed research into Microbiology Education? A case study in immersive undergraduate research experiences. In: Australian Society for Microbiology Annual Scientific Meeting (ASM2012), Brisbane, Australia, (81-81). 1-4 July 2012. Wang, J. T. H., Schembri, M. A. and Fuerst, J. A. (2011). Developing professional research practice in students through undergraduate research experiences. In: Higher Education Research and Development (HERDSA 2011), Gold Coast , QLD, Australia, (). 4-7 July 2011. Wang, J. T. H., Schembri, M. A., Ramakrishna, M., Sagulenko, E. and Fuerst, J. A. (2011). Undergraduate research experiences: A case study in promoting student engagement through authentic scientific enquiry. In: Australian Conference on Science and Mathematics Education, University of Melbourne, Melbourne, Australia, (). 28/9/2011 - 30/9/2011. Connell, H., Agace, W., Hedlund, M., Klemm, P., Shembri, M. and Svanborg, C. (1996). Fimbriae-mediated adherence induces mucosal inflammation and bacterial clearance: consequences for anti-adhesion therapy. In: Itzahak Kahane and Itzhak Ofek, Toward anti-adhesion therapy for microbial diseases: Proceedings of the Bat-Sheva Seminar 1996. Bat-Sheva Seminar on Towards Anti-Adhesion Therapy of Microbial Infectious Diseases, Ichron Yaakov, Israel, (73-80). 25 February - 1 March 1996. Klemm, P., Schembri, M. and Hasty, D. L. (1996). The FIMH protein of type 1 fimbriae - an adaptable adhesin. In: Itzhak Kahane, Proceedings of the Bat-Sheva Seminar Toward Anti-Adhesion Therapy of Microbial Diseases. Bat-Sheva Seminar on Towards Anti-Adhesion Therapy of Microbial Infectious Diseases, Ichron Yaakov, Israel, (193-195). 25 February - 1 March 1996. Bayly, R. C., Duncan, A., May, J. W., Schembri, M., Semertjis, A., Vasiliadis, G. and Raper, W. G. C. (1991). Microbiological and genetic aspects of the synthesis of polyphosphate by species of Acinetobacter. In: 15Th Biennial Conf of the International Assoc On Water Pollution Research and Control, Kyoto, Japan, (747-754). 29 July-3 August 1990. The current multidrug resistant Escherichia coli pandemic: exploring novel therapies against the predominant culprit E. coli ST131. Adhesins of uropathogenic Escherichia coli. COMPARATIVE ANTI-BACTERIAL IMMUNITY IN THE URINARY TRACT: DOES ONE SIZE FIT ALL? Pathogenomics: new ways to exploit genome sequence data from pathogenic bacteria. Investigating the host and bacterial factors in cystic fibrosis that promote persistence of infection in the lung.